we make three times inspection during the production, the product quality is totally guaranteed. 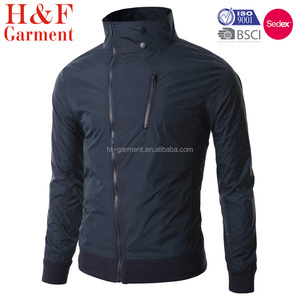 Windbreaker MEN Lightweight Waterproof Jacket with hood and bag 1.OEM is welcome 2.Pontual delivery time 3.Waterproof breathable and water repellent 4.Hoodie and windpoof 5.Waterproof /Breathable:3000/3000 Foldable Lightweight Waterproof Jacket with bag details as below: Model No. HC3128 Model Name Foldable Rain Jacket with bag and hood Material Outer: Polyester/Nylon coated with PU or TPU membrane Lining: 50D polyester peach skin/Mesh fabric Padding: NO Seam Sealed: Yes, full tape seams -Function: HSH:3000mm(1) MVP:3000mm(2) (1) HSH means waterproof spec. foldable waterproof jacket Feature Lightweight foldable waterproof jacket - fully waterproof with taped seams, breathable, lots of handy pockets, a foldaway hood and it even packs away into its own drawstring bag when not in use. , Ltd is a manufacturer of work wear, outer wear, rain wear and military uniform. Our factory is located in the middle area of China where there is rich but cheap labor resource. Welcome to visit us at your convenience, the Wuhan airport is closest airport which is about 130km from us. men's sportswear windbreaker with packable hood item no. our professional and well experience qc stuffs control the quality strictly from the production begging to the goods leave warehouse. 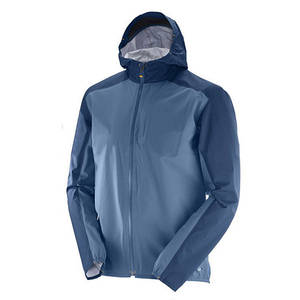 1.Product information Product Name mens outdoor performance waterproof windbreaker Item no. We believe quality is the base of longtime cooperation. We have strictly quality control system to make sure our goods will be same as your confirmed sample. is the manufacture of garments with high quality & competitive price for several years. Export to North American, Europe, Australia and Asia etc more than 30 countries. 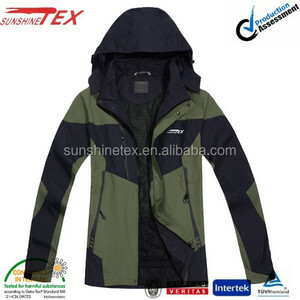 Garment: outdoor jacket, softshell jacket, hunting clothing, ski clothing, rainwear, work wear, down jacket, sports wear, cotton-padded jacket etc. 3.What kind of material do you use for this anorak jacket9 We use high quality 100% Nylon, with interior PU coating inside. 4.What brand zipper do you use for this anorak windbreaker9 We use first quality YKK and SBS brand zipper, which can be used for thousands times. 6. H ow can i guarantee for my goods quality and my payment9 We support deal via Alibaba Trade Assurance System and sign formal contract on Alibaba with full protection for your order. 10 YRS Shanghai Shoujia Fashion Co., Ltd.
punctual delivery delivery the products within your require time . service we will provide first-class service. 2 YRS Fuzhou Run Sheng Garments Co., Ltd.
1 YRS Zhejiang Hualilai Imp&Exp Co., Ltd.
heska is the brand of outdoor.kenva is the brand of workwear. heska international co.,ltd is a professional exporter of workwear and outdoor wear products for global market. Our designers continuously develop new products based on the demand of the market. The professional staff make the detailed specification according to the requirement of the clients. The material will be strictly inspected when they arrive in the factory . 1 YRS Xiamen Aiditex Import And Export Co., Ltd.
1.Product information Product Name custom womens rain jacket with hood Item no. We believe quality is the base of longtime cooperation. We have strictly quality control system to make sure our goods will be same as your confirmed sample. 3.What kind of material do you use for this anorak jacket9 We use high quality 100% Nylon with PU Coating for shell, 100% Polyester (mesh) for hood lining. 4.What brand zipper do you use for this custom anorak9 We use first quality YKK and SBS brand zipper for this anorak windbreaker, which can be used for thousands times. 6. H ow can i guarantee for my goods quality and my payment9 We support deal via Alibaba Trade Assurance System and sign formal contract on Alibaba with full protection for your order. Reflective Plain Black Windbreaker Jacket with bag 1.OEM is welcome 2.Pontual delivery time 3.Waterproof breathable and water repellent 4.Hoodie and windpoof 5.Waterproof /Breathable:3000/3000 Plain Black Windbreaker Jacket details as below: Model No. 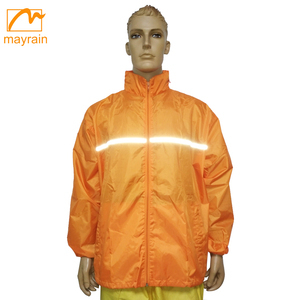 HC3127 Model Name Foldable Plain Windbreaker Jacket with bag and reflective piping Material Outer: Polyester/Nylon coated with PU or TPU membrane Lining: 50D polyester peach skin/Mesh fabric Padding: NO Seam Sealed: Yes, full tape seams -Function: HSH:3000mm(1) MVP:3000mm(2) (1) HSH means waterproof spec. 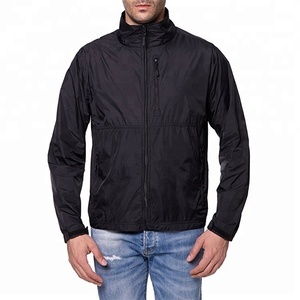 Plain Black Windbreaker Jacket Feature Lightweight foldable waterproof jacket - fully waterproof with taped seams, breathable, lots of handy pockets, a foldaway hood and it even packs away into its own drawstring bag when not in use. high quality nylon windbreaker jacket lined custom logo brand item no. our professional and well experience qc stuffs control the quality strictly from the production begging to the goods leave warehouse. 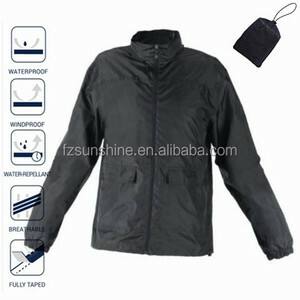 Alibaba.com offers 415 nylon pu windbreaker products. About 32% of these are women's jackets & coats, 28% are men's jackets & coats, and 1% are camping & hiking wear. A wide variety of nylon pu windbreaker options are available to you, such as men, unisex, and women. You can also choose from free samples, paid samples. 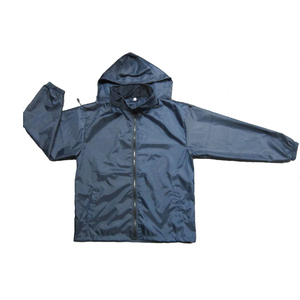 There are 415 nylon pu windbreaker suppliers, mainly located in Asia. 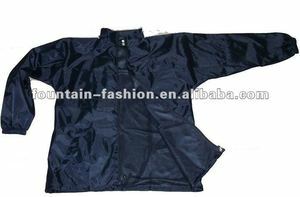 The top supplying country is China (Mainland), which supply 100% of nylon pu windbreaker respectively. 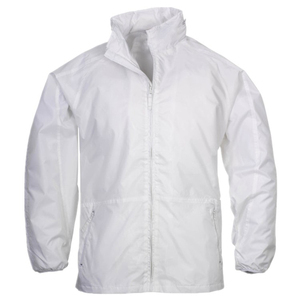 Nylon pu windbreaker products are most popular in North America, Western Europe, and Oceania. You can ensure product safety by selecting from certified suppliers, including 269 with Other, 150 with ISO9001, and 4 with BSCI certification.